This activity is inspired by the Olympic Games and is designed to motivate all participants to show their strength, skill and agility. The day starts with designing your very own Olympic flag, which will be showcased during an opening ceremony which features a life size replica of the famous Olympic torch. Teams will then rotate around a number of games that test your abilities across a range of skills. Points are awarded for each event and all teams will receive a special card that allows points to be doubled for one activity so you're still in with a chance of winning even if one event doesn't’ go quite as well as expected! 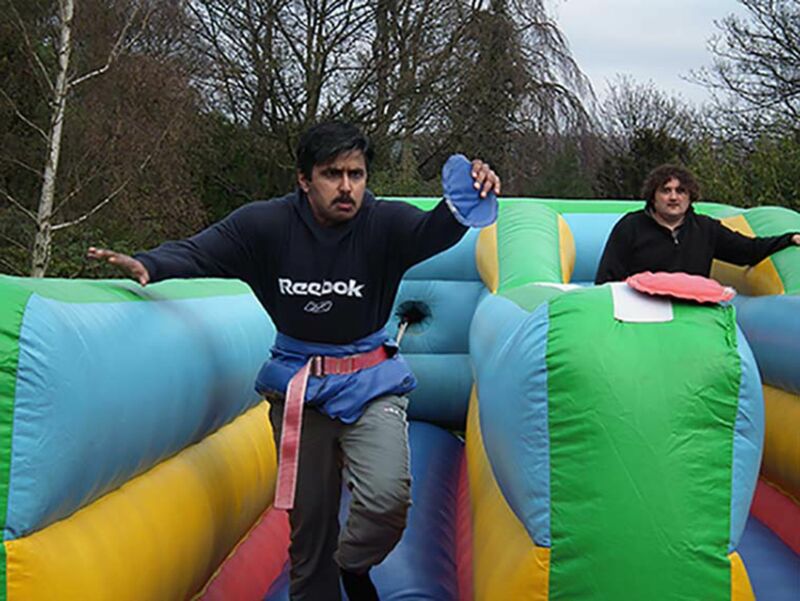 There are loads of games to choose from including such classics as long jump, archery and hurdles as well as exciting additions like bungee running, human table football and the giant sack race. Trained instructors will guide you through the day before medals are presented and a closing ceremony. 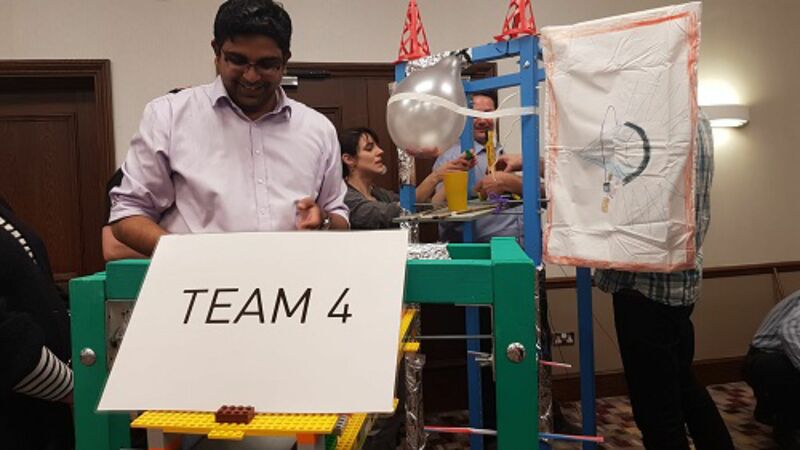 An innovative and exciting activity that brings individual skills together, Chain Reaction involves building a unique part that will become part of a giant contraption. Each part will trigger off the next in line as part of a giant chain reaction. This activity requires creativity and problem-solving skills; each separate part will need to function correctly alone as well as fitting into the overall contraption to make sure the chain reaction continues right to the end, where it will release a colourful cannon of confetti. Instructors will be on hand throughout to ensure everything runs smoothly and prizes will be given for the best sections. The Crystal Maze is one of the most successful TV series and needs little introduction. Faithfully recreated and of course including the famous Crystal Dome, this activity tests every skill in the book, from physical to mental and everywhere in between. 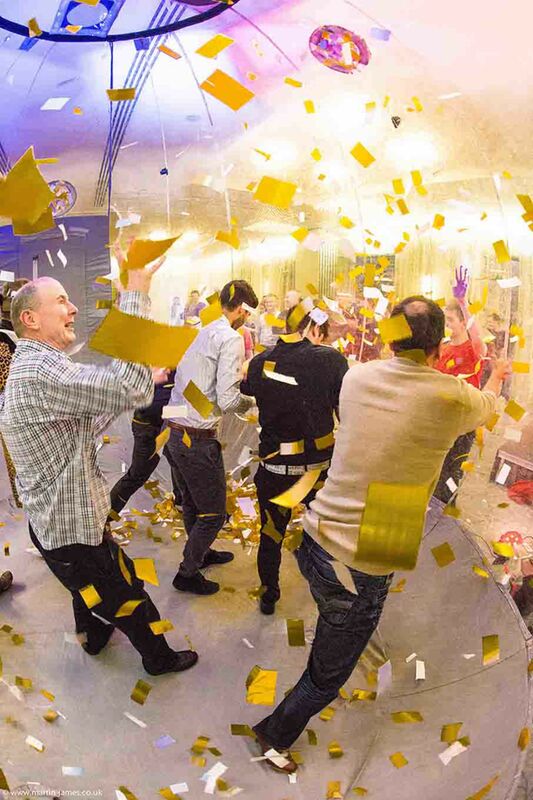 Groups will be divided into teams and escorted through the Crystal Maze, playing games to earn crystals which represent valuable time inside the Crystal Dome. Here you will gather golden tokens while avoiding the silver: each silver token collected will cost you one gold token and the team with the most gold after deductions will be declared the winner. These are just three of the many corporate team-building activities available from Funktion Events; discover more and book today!